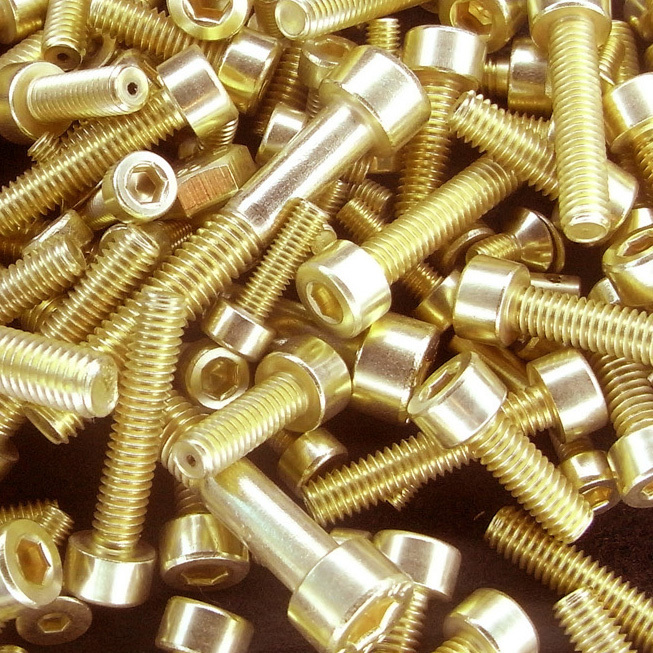 We offer gold plating services in the UK using both in-tank and brush plating systems. Our in-tank gold plating solution produces a hard 24ct gold deposit. 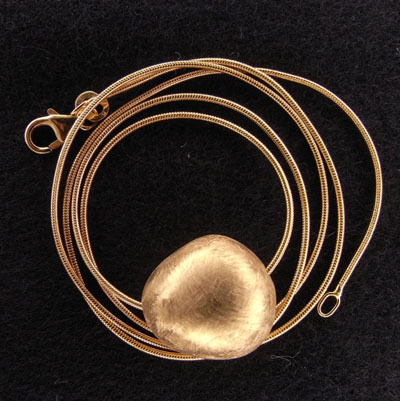 A very small amount of cobalt is co-deposited which makes the deposit harder and more wear-resistant than pure gold. The appearance is rich and lustrous. It is perfect for jewellery and ornamental as well as technical applications. 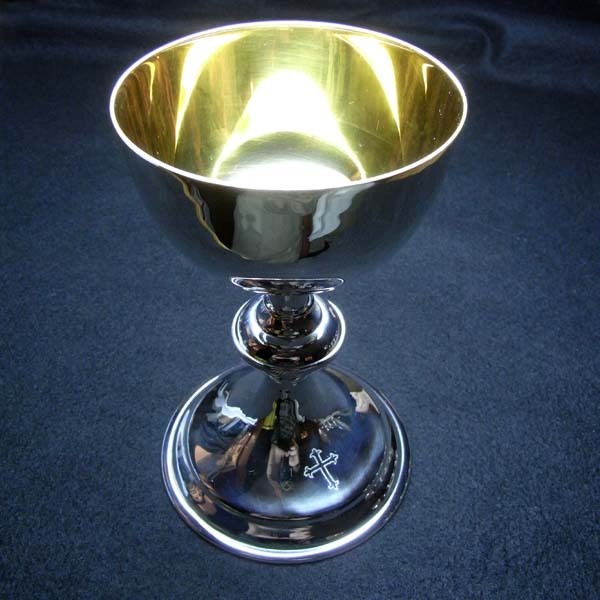 We use brush gold plating on items which are too large for the electroplating tank or which require selective plating, see chalice below, which is gold plated on the inside and silver plated on the outside. A gold strike solution, which has been designed for producing good adhesion to stainless steel. Once the gold strike (primer) has been applied the piece can be finished in our 24ct gold or indeed in any of our other finishes. 18ct Rose gold solution for jewellery and decorative pieces. Rose gold contains some copper, which gives it its distinctive rose colour. Slightly paler than our 24ct gold, this solution is perfect for watch cases and matching 18ct jewellery. A solution which deposits a nickel rich gold alloy. Because of its nickel content the deposit is harder and paler than our main 24ct gold. Typically used on architectural and bathroom fittings.